I am really enjoying making these photo cards. 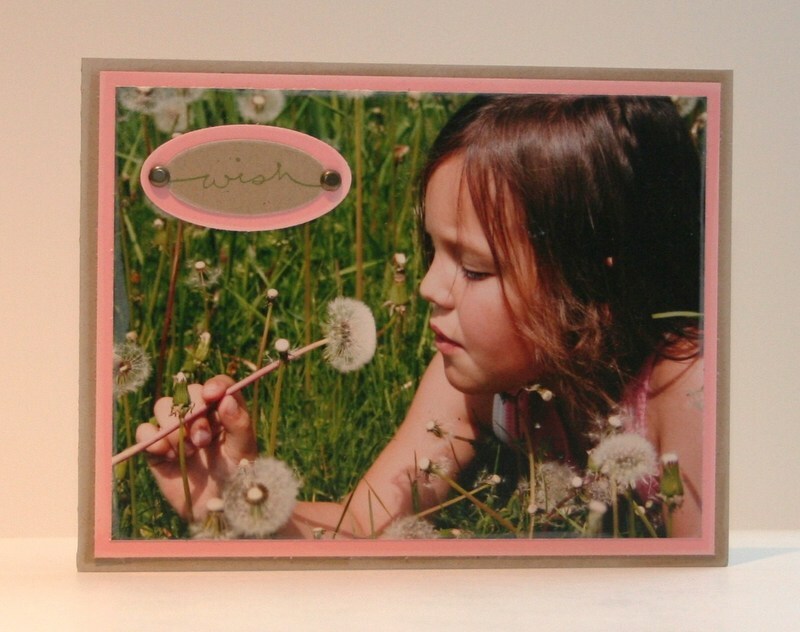 It's a great way to reuse old pictures and I think people at the other end of the card chain will like having some pictures of the kids as well. This picture was taken last summer (Actually on Emma's birthday) so I thought it was appropriate for a birthday wish card. The other nice thing about a photo card is that they are QUICK and simple! This card is BEAUTIFUL - I am always amazed when someone is able to capture a photo like this! I'm sure the recipient is going to love it too, and what a great use of photos that would otherwise just sit around! I too am loving these photo cards. This is just a beautiful picture of Emma, and I can't believe how much of you I see in her. I always thought she looked just like Adam, but her spirit is all mom and it really shines through here! Simply BEAUTIFUL, and the cards nice too!!!! Heather, this is a great card and an AWESOME picture of Emma. I am really liking your photo cards. I may have to try one! Heather! This card is beautiful! WHAT a picture you were able to snap!!! Amazing! BEAUTIFUL card Heather!! What a great idea :) As for the "old pictures" question you posted a day or so back. . .I do keep files of all "old" pictures but don't make re-prints. You're right -- the scrapbooks are now the recorded memories, right? If your children want copies one day you can just copy your pages, huh? I do like to keep the files of old pictures b/c YOU usually give great ideas for them -- ideas like this card and the playing cards you made awhile back. Thanks for all the great stuff!